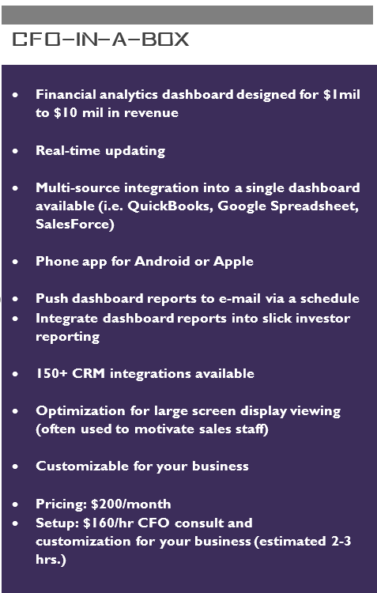 VenturePack CFOs have spent many hours translating decades of CFO experience to Grow developers in order to create our own custom financial dashboards aka CFO In-A-Box available only through VenturePack at more than 50% off retail and with much more functionality. 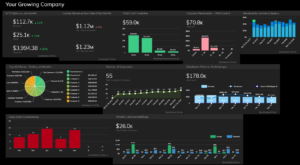 The dashboards were designed to provide CFO analytics AFFORDABLY to fast-paced growing companies who may also have investor reporting needs. After many frustrating nights of researching and testing dashboard products and applications, owner, Kira Spivak, realized that what VenturePack’s fast paced small business clients needed didn’t quite exist yet — close, but not really. 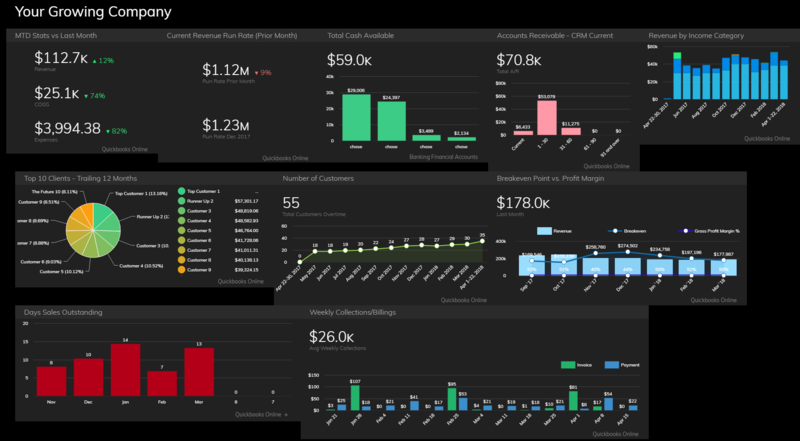 One serial entrepreneur client asked for a dashboard where he could visualize 4 small companies at once, integrate CRMs and banking info. and most importantly, be able to view it on his phone. As a busy CFO, Kira dreamt of a dashboard that also solved investor reporting and obtaining her own analytics real-time so she could save clients time and money. The results are better than she originally imagined. 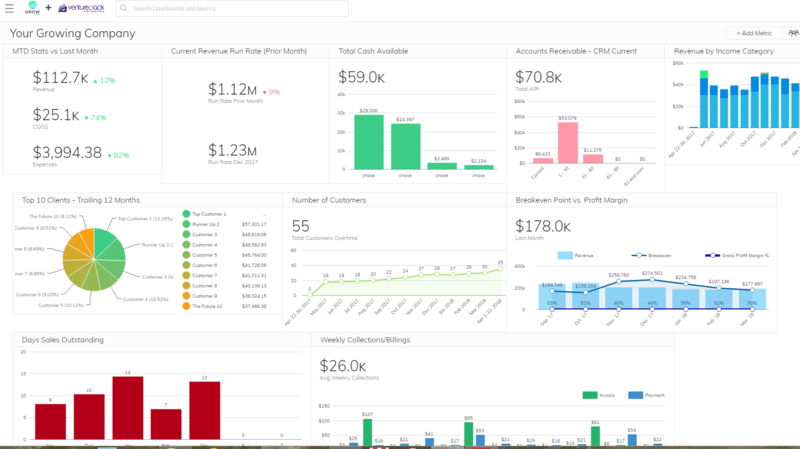 CFO-In-A-Box dashboards are perfect for any company using QuickBooks Online that desires more analysis and financial insight. We also have a hack for a consolidated view of multiple company financial performance + CRM info. into one dashboard. 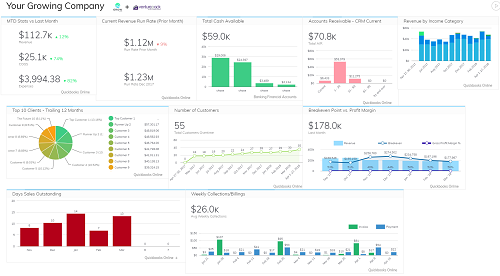 The analytics and investor reporting that used to take hours of CFO time every month, we can now offer automated for half off retail, but with our own CFO customized metrics. 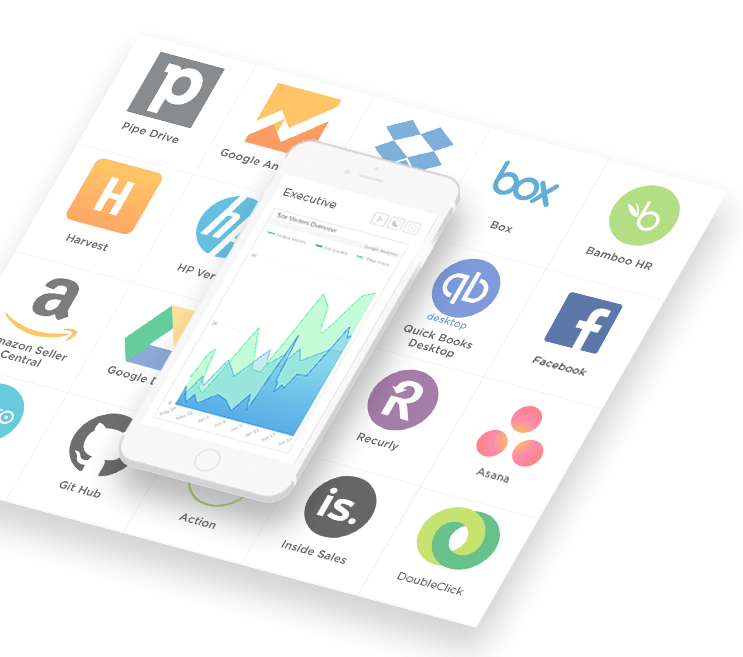 Even better, there are also 150 CRM integrations available with our dashboards like HubSpot, SalesForce, InfusionSoft, Google AdWords, Google Analytics, BaseCamp and many more. Sales performance can be optimized to display on the big screen to motivate your team! Automating manual processes to make them affordable has been VenturePack’s style from the very beginning. If you are interested, please contact kira@venturepackcfo.com or fill out a contact request through our website.